Each CrossFit across the globe is given quite a bit of latitude to operate independently. We have chosen to relentlessly focus on building an inclusive and welcoming fitness community to make working out fun, exciting, challenging and, most of all, fulfilling. Well, for one... we live here, too! Both owners and many members of our staff live here, work here and send our kids to school here. We’re not “franchise fitness” although we do like the fact that their marketing muscle helps get people off the couch. But, make no mistake… we’re in this for the long haul and are invested in making our hometown stronger, fitter and healthier. We are the ONLY Level 3-owned and coached CrossFit in the Sudbury/Wayland and Acton/Concord areas. This ensures your safety and results are our number one priority! And further evidence of our experience customizing each day’s workouts to the specific needs of each of our members. Across our locations we have over 16,000 square feet of CrossFit goodness built with only functional fitness in mind. We also take pride in the cleanliness of our gyms and we offer a wide range of amenities at each location. Click on our Wayland or Acton pages to learn more about each facility. Don’t take our word for it. Hear what our members have to say about Daybreak by reading our press coverage and social reviews. Our results speak for themselves. 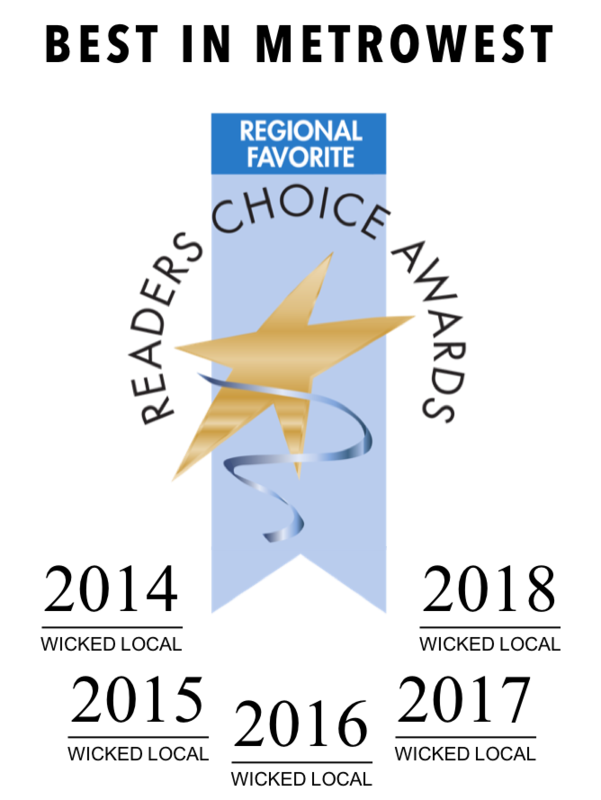 Wicked Local readers selected Daybreak CrossFit as the Regional GOLD Favorite in both the Health Club and Weight Loss Center categories. Readers voted from across the Metrowest, including Wayland, Sudbury, Weston, Natick and Framingham. This is the 5th consecutive year that Daybreak has received this very unique distinction in a very crowed fitness and health market around the Metrowest. Daybreak CrossFit is the only affiliate in the Sudbury/Wayland/Concord/Acton areas to be given the distinction of Reebok Recognized™. Reebok has hand-picked a select few (~100 out of 7000+) gyms across the United States who exemplify professionalism, cleanliness and highly-credentialed staff.